Virtuo has raised €7.5m (£6.8m) in a new funding round with Balderton Capital, one of Europe’s most active early stage investors. Launched in April 2016, Virtuo is the only car rental service in Europe that is 100% mobile. Available in airports and railway stations in Paris, Virtuo has rapidly expanded in France in 2016 and 2017, offering its service at transport hubs in towns and cities with significant touristic traffic, like Nice Airport, Avignon or Aix-en-Provence railway stations. Virtuo has experienced a high level of growth in the last year, with more than 6 million kilometres travelled by customers who are able to rent a car, at any time, with only a few clicks of a smart phone. With funding from Balderton Capital, based in London, Virtuo plans to expand into other big French and European cities. Virtuo was founded in 2015 by Karim Kaddoura and Thibault Chassagne and the service launched in April 2016. In September 2017, Virtuo raised €7.5m from Balderton Capital, the London-based early stage investor. More than 6 million kilometres travelled. More than 150 000 downloads of the App. Virtuo’s App elected “Best App of the year 2016” by Apple. Drivers can register in less than 15 minutes: account creation requires credit card information, registration of identity card and driving license. Information is validated through face recognition. Drivers can locate their car immediately: forget waiting for ages at the car rental company counter, Virtuo’s app leads the customer straight to the car park where Virtuo’s cars are available. The car is unlocked with a smartphone, after downloading its digital key. The location is confirmed by the app and the smartphone’s camera. 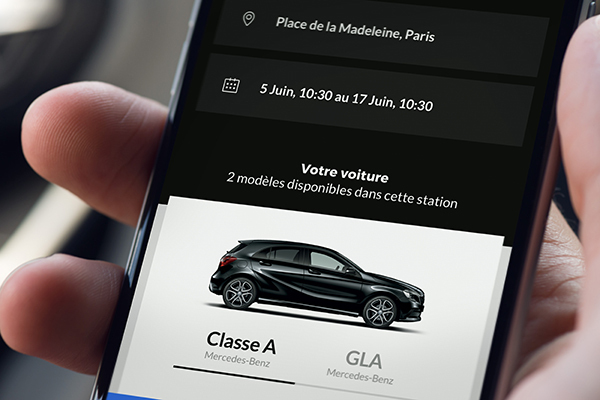 Virtuo offers a single model of car: the Mercedes Class A, with automatic clutch, reverse camera and GPS tracker. With Virtuo there are no more disappointments on receiving the car, and no need to pay more to get premium features. Virtuo has accessible and transparent pricing: the tariff varies from 49€ to 89€ per day, depending on demand, period and rental duration. The tariff includes up to 150km of travel, with the option to exceed this for a surcharge of 0,10€ per kilometer. A second driver can be registered if they possess a Virtuo account. Easy and efficient contact with Virtuo’s customer service team: an integrated chat module allows the user to ask questions and receive answers in real time.